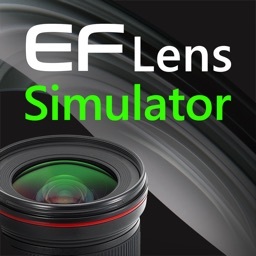 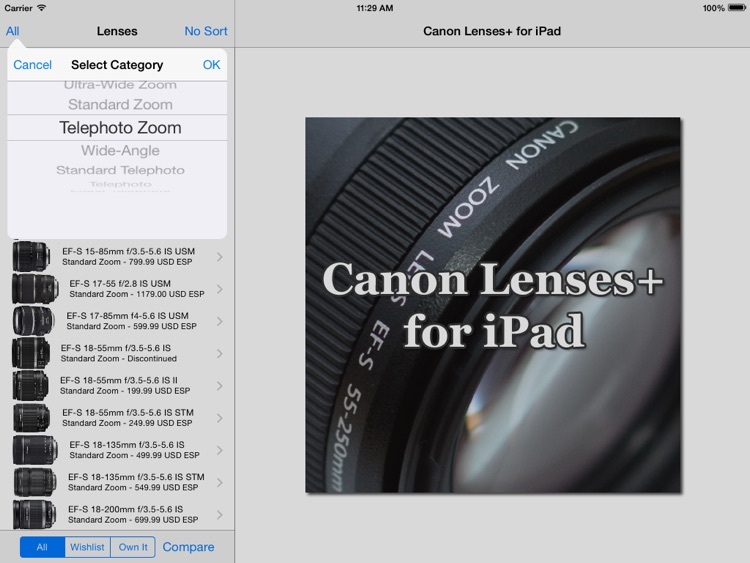 Canon Lenses+ is a guide for iPad users to Canon's current lineup of EF and EF-S Mount lenses used by both Canon's digital and film SLR cameras. 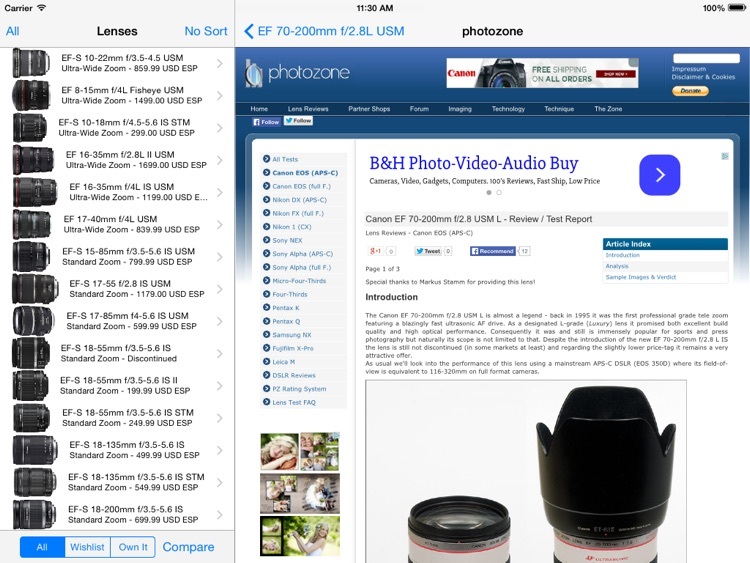 You can view all the lenses at once or you can view lenses in a selected category. 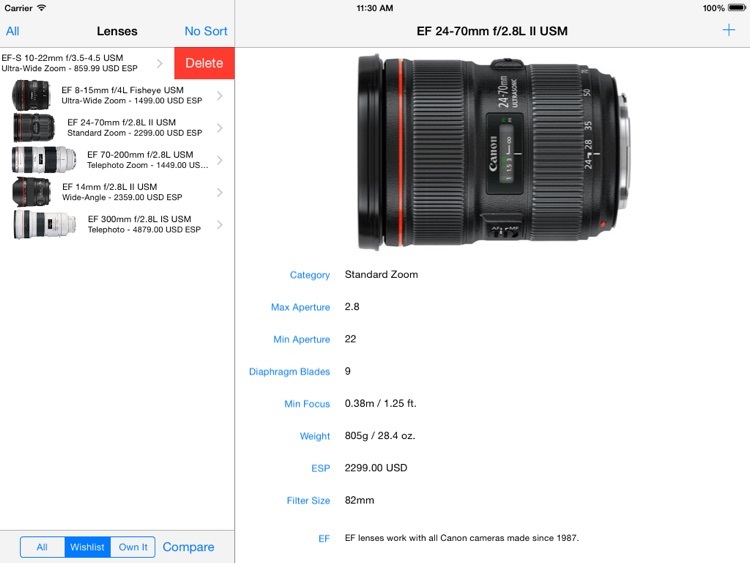 You can also limit the displayed lenses by feature, such as IS, USM, etc. 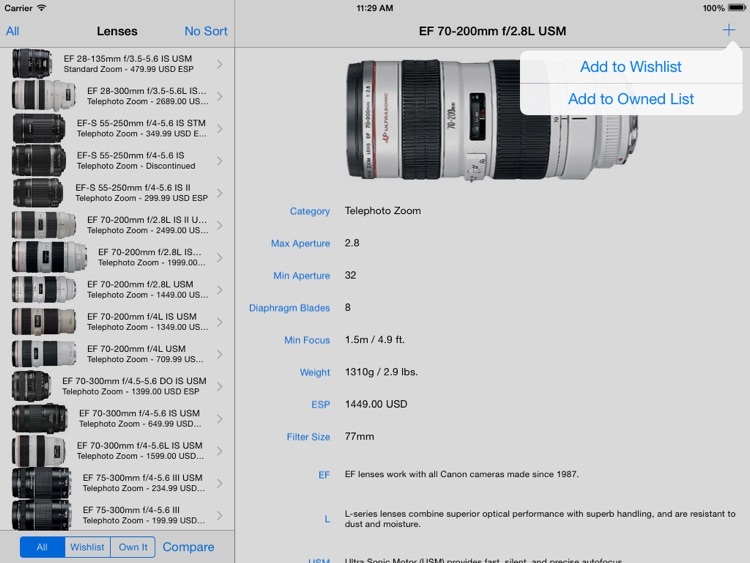 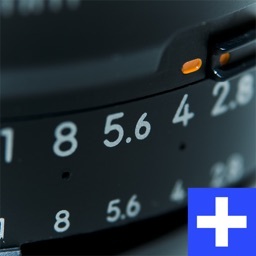 You have the ability to sort by aperture, minimum focal length and ESP (Estimated Retail Price). 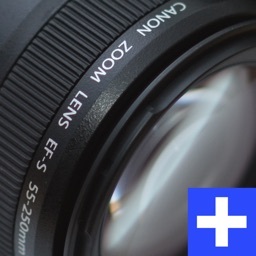 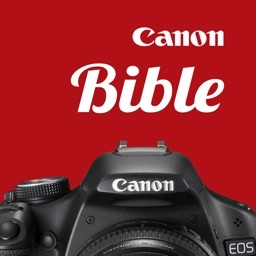 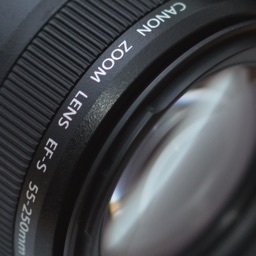 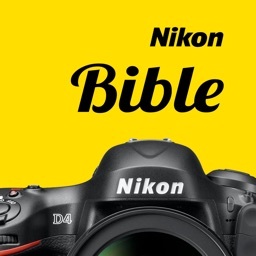 Each lens has a detail page which provides links to the Canon web page detailing the lens, reviews of the lens from third parties (if available - brand new lenses might not have reviews yet) and information on where to rent the lens (for users in the US).